Yay! A Second Flower Spike! A surprising bonus from a happy and thriving container plant. 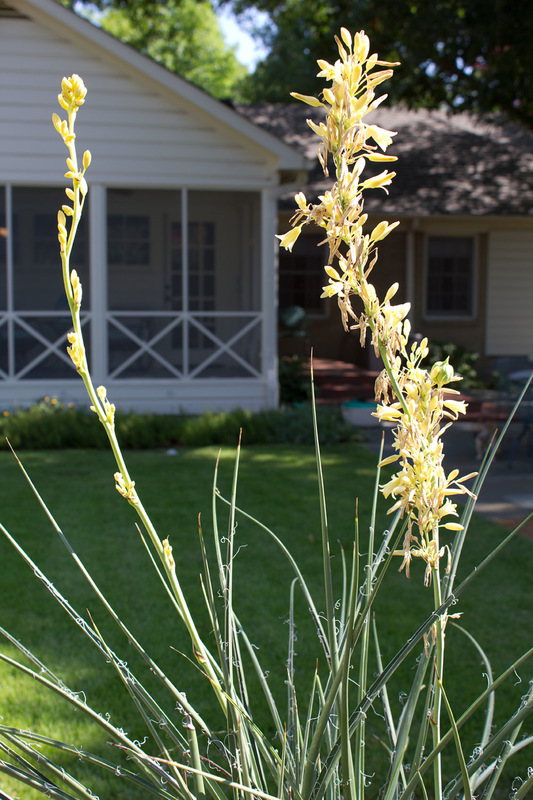 This Yellow flower false yucca has proven to be the perfect choice for my garden’s focal point. According to the Lady Bird Johnson Wildflower Center, its bloom time in Texas is March through July. Meaning I shouldn’t expect any more flower spikes this year. That’s okay. I’m just glad I haven’t accidentally killed the plant.